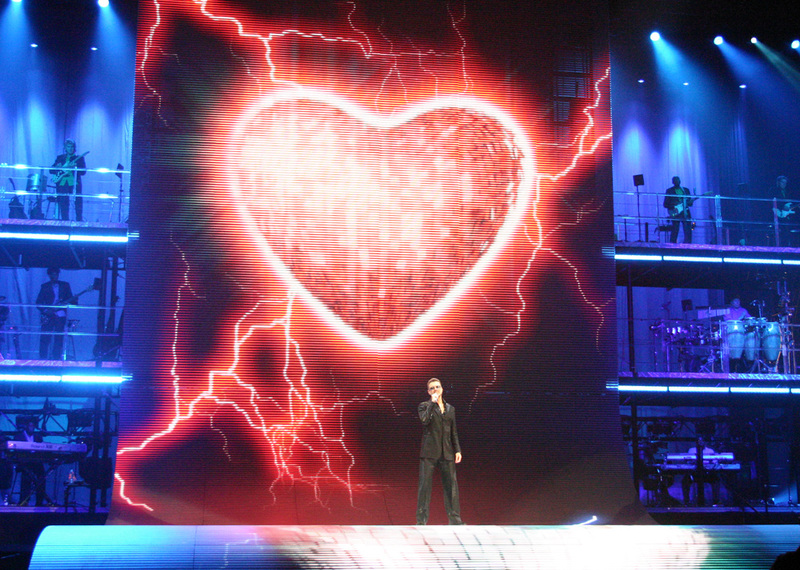 Must See Concert: George Michael’s 25 Live Tour! Photos Courtesy of April. Thanks April! I do a good job of keeping this on the downlow, but I am actually completely gay for singer George Michael. So, it was a thrill for me to be able to attend George’s show last night at New York’s Madison Square Garden, where Geoffrey and I found ourselves about six feet from the stage. Insanely gay! 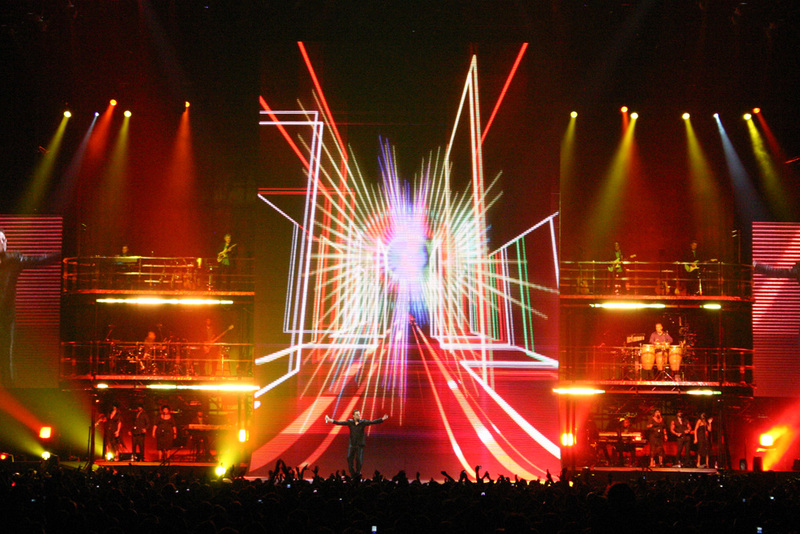 George’s current tour features an out-of-control light and stage show, the star of which is the award winning, state-of-the art LED video screen designed and developed specifically for George Michael’s 25 Live tour. I am not fronting when I say that George’s show was so mind-blowingly psychedelic that, by comparison, it made Pink Floyd’s laser light spectacular look like Charlie Brown’s Christmas Tree before the Holiday Spirit brought it to life. The stage is also unique in that George’s fifteen-piece band performs behind him on a three-tier grid stage that looks a lot like the set of The Hollywood Squares. I’ve never seen anything like it. George played for three hours, with a 20 minute intermission at the one hour mark, so you can absolutely say that the tickets are worth whatever you have to pay for them, or whatever sexual favors you must provide in trade. After the show, Geoffrey and I took our excited little asses backstage, where Geoffrey turned into a little girl and completely lost his mind after talking to George for five seconds. It was really quite adorable. I was also able to hang out with George’s drummer, Carlos Hercules, who had gotten us the sweet list action – thanks, Carlos! 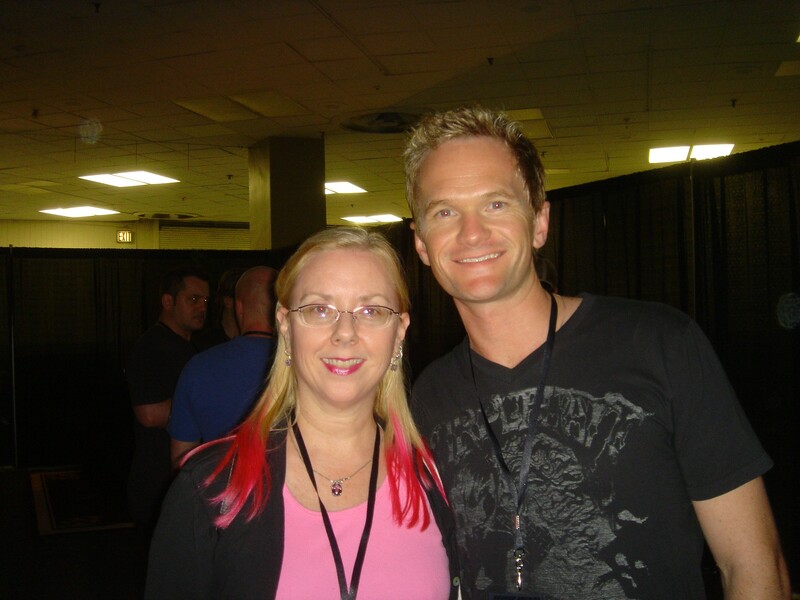 And we both had our photos snapped with actor Neil Patrick Harris (Doogie Howser, How I Met Your Mother), who seems like a very sweet and hilarious person (and really cute). All in all, an excellent night out in the city! Oh, one more thing: one of George’s longtime back-up singers, Shirley Lewis, is married to this guy! ← World’s Gayest Photo of Sean Connery: Uncovered! Thanks for sharing your big gay night out on the town! Is it possible for straights to enjoy George’s show, too? I not only lost my mind and turned into a little girl, but I skipped all the way home and had to check my appendages this morning to make sure my Johnny didn’t become a hoo-hoo because George Michael cast a magic spell on me! A MILLION THANK U’s for making one of my dreams come true!!!! DID THE TOILET BOYS OPEN FOR THIS SHOW? I would like to met him very close and touch him or only say…Hi George your are amazing. Please let me know what can I do to see him very very close or entry to backstage. Thanks for your experience. Really was very adorable and nice. Shirley Lewis is not married to Neil Patrick Harris! Andrea, if you follow the hyper link in that sentence, you’ll see I’m not talking about Shirley Lewis being married to Neil Patrick Harris. I am going to see GM on 7/31 in ATL (flying there from DTW). Love love loves me some GM! Thanks for the great review. Even more excited now! And the devastating year for losing special music-makers continues.. Such a beautiful voice now silenced. I am very sad.